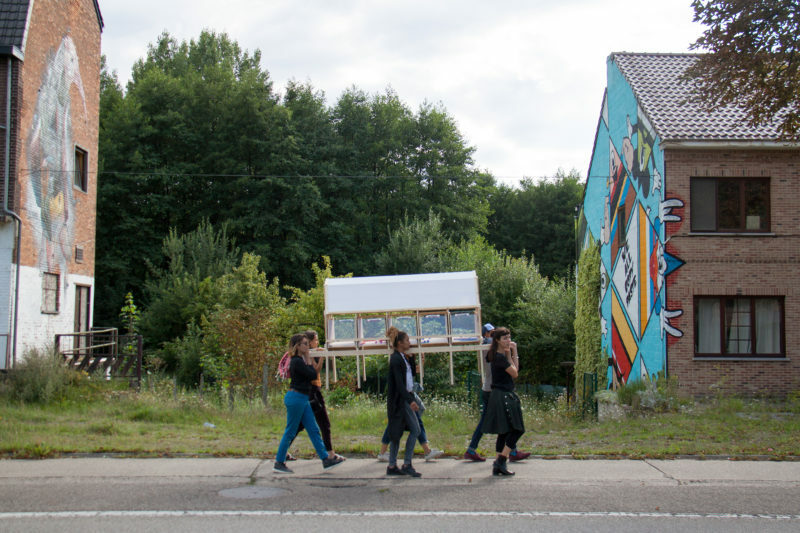 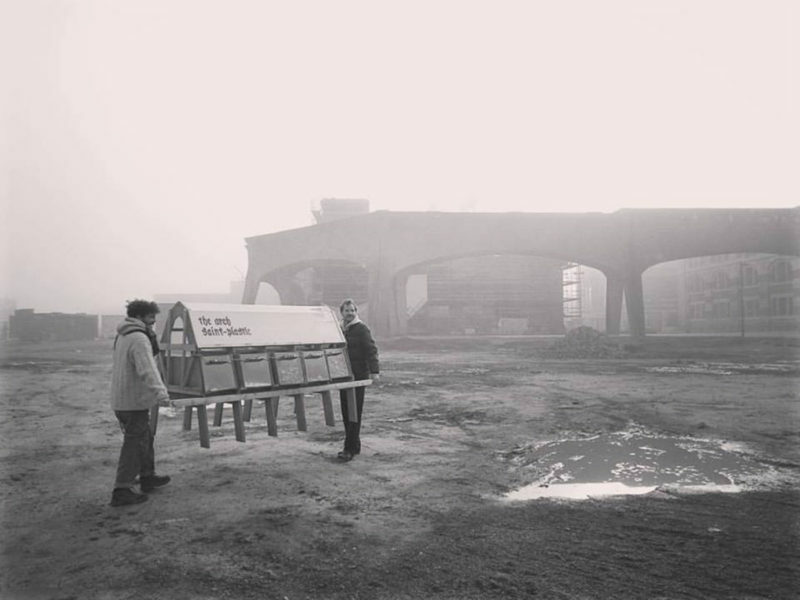 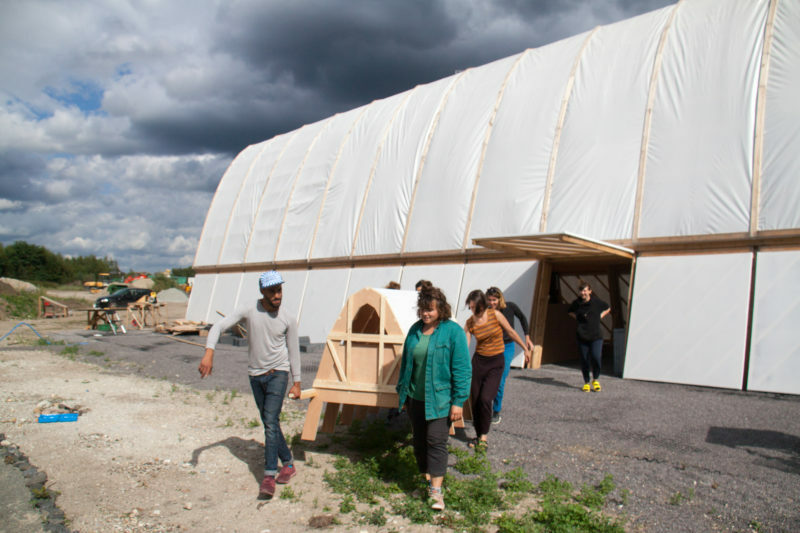 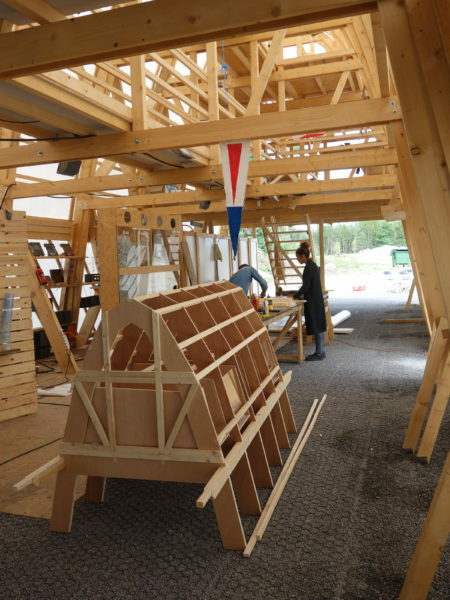 In their one week residency, the Bagnolet-based collective ya+k, who have an extraordinary expertise in working on local, participatory, one-to-one situations, were asked to develop a satellite project of the Arch that would gravitate around the site and create a visibility of the project. 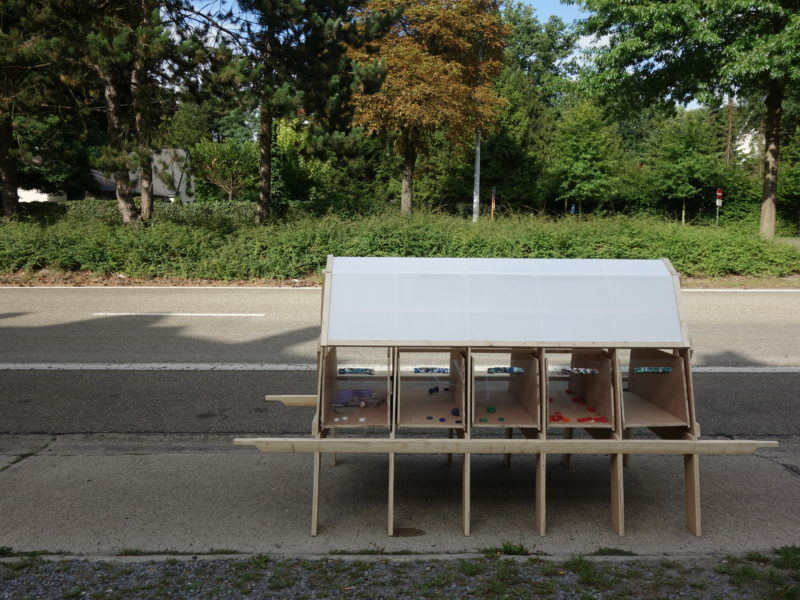 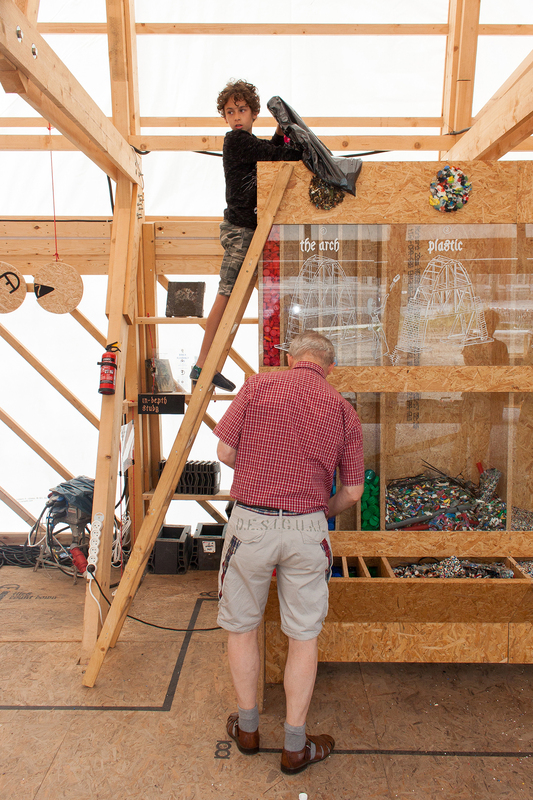 It was supposed to be a transportable, but not too easily stolen object that simultaneously functions as the collector of thousands of bottle cups that would be needed for producing tiles in the weekly workshops on site, to eventually cover the Arch. 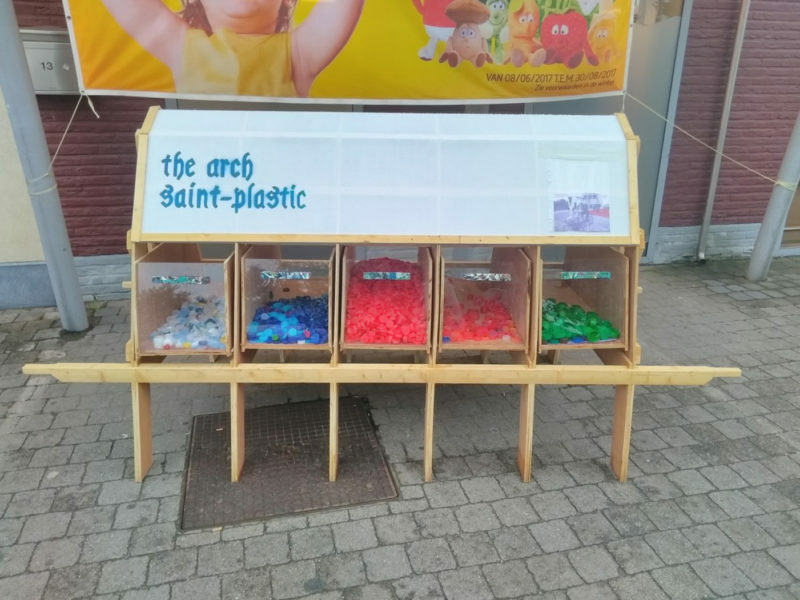 The Saint Plastic became a member of the big family of tools that were developed within the plastic research lab during the summer at the Arch – and its most successful PR manager. 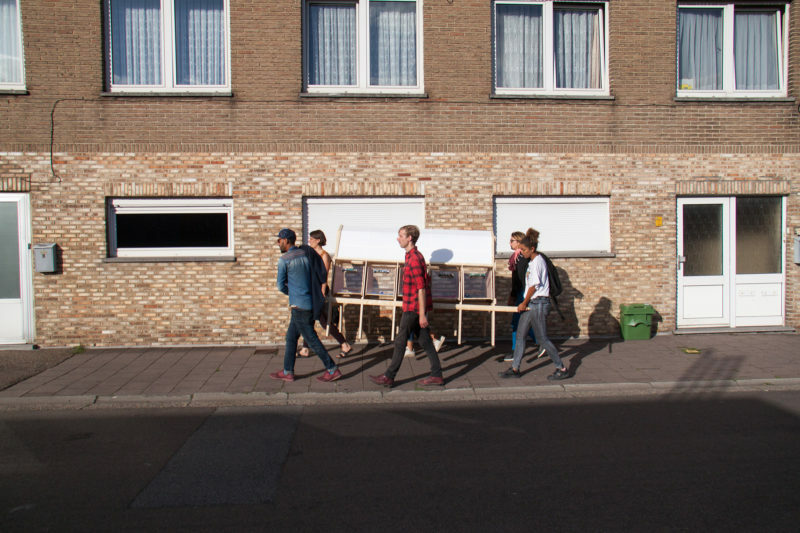 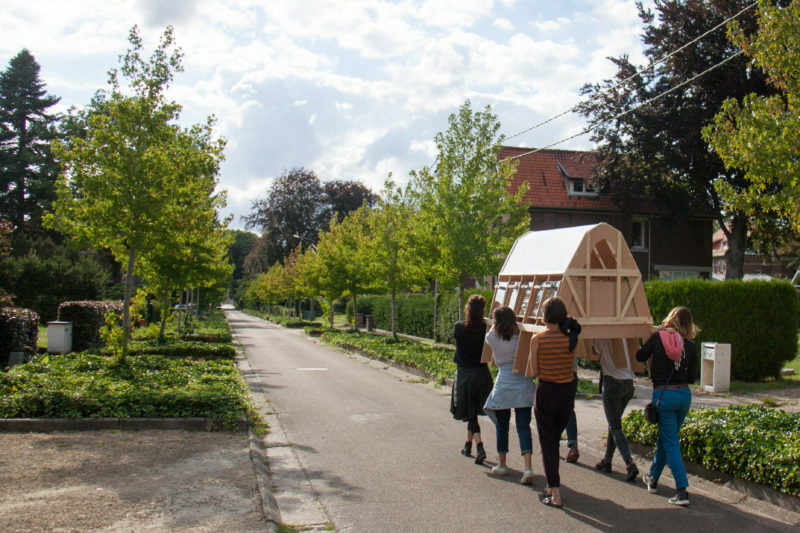 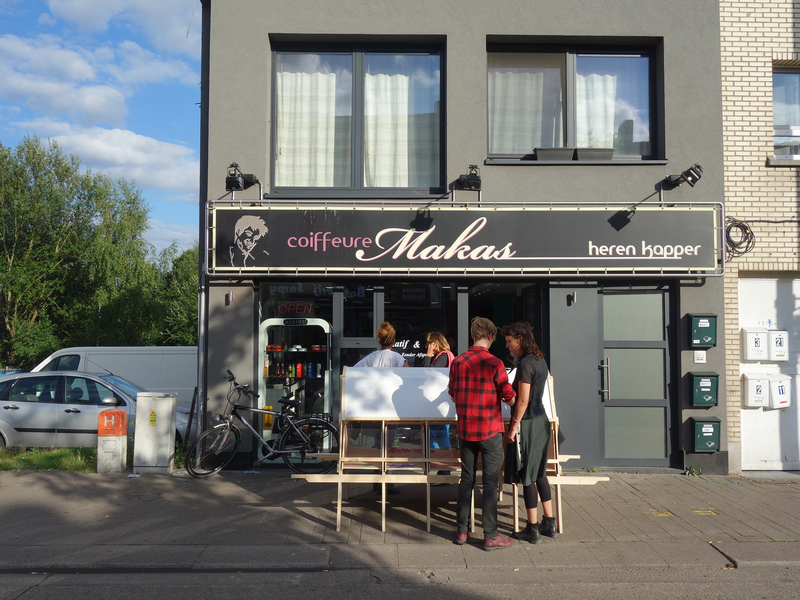 Carried by six people in a slow procession down the busy shopping street of Waterschei, Staalenstraat, Saint Plastic became acquainted with the neighbourhood and henceforward was recognized by the people for its alien but well-intentioned character. 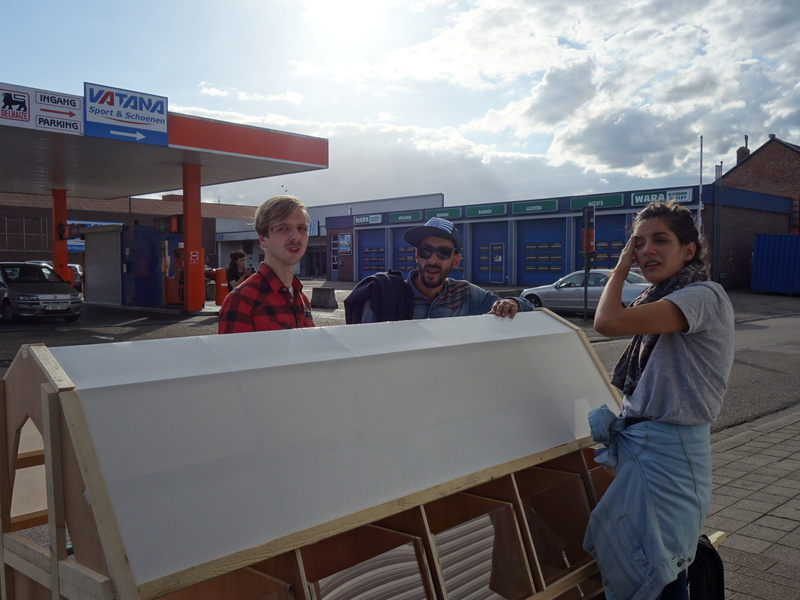 Parked in front of the biggest supermarket of the district it filled up its drawers within days and did not seize to appeal curious gazes and colourful bottle-cups. 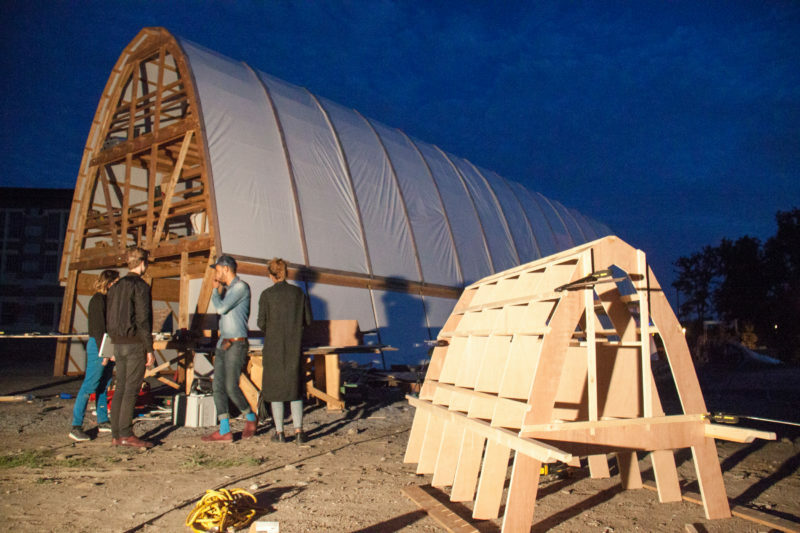 The Saint Plastic is a small precise model of the bigger Arch structure, just as the Arch is a model of the city – bringing up question of how we live together, how we share, who does the dishes and how do economies of a collective work; how do we distribute tasks and what role does each individual take? 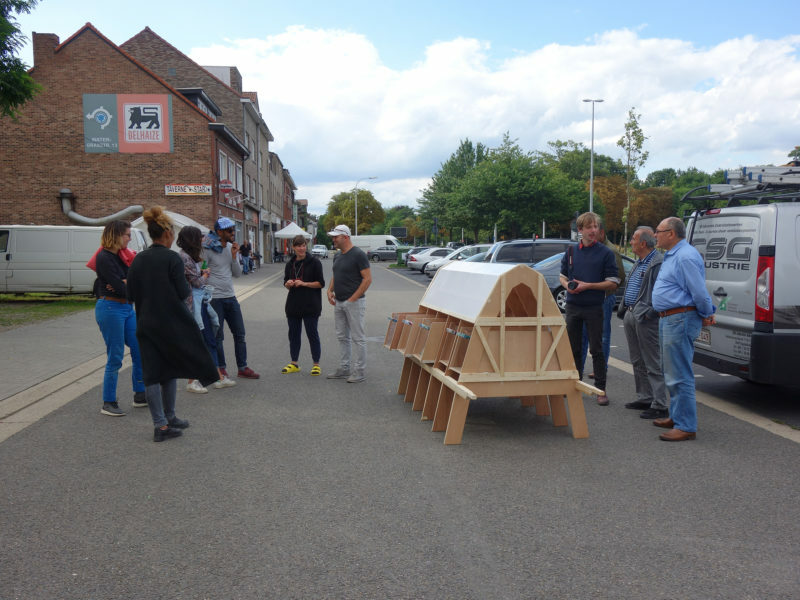 Over the model of the model and with much patience and attitude the members of ya+k shared and debated their visions of being together with all the other residents of the Arch.